 "Wenger & Associates, LLC brings innovative ideas and perspective on a variety of topics. Jeri went the extra mile to provide tailored consulting services to fit our District's unique situation. She was instrumental in our success to increase our attendance rate over 98% and close an $8 million budget gap. Her knowledge is vast and rich along with integrity and outstanding service and care." "Jeri is and continues to be a great resource to us. Thanks to her, we now have tailor-fit procedures and field trip planning packets that make sense and help us maintain compliance with the free public schools act." "We had our first successful FPM audit, thanks to Jeri. She provided our schools and business office with easy-to-understand resources, and helped them connect the 'audit' dots." "Jeri Wenger & Associates timely and successfully helped us implement adequate controls and procedures to resolve a significant audit finding. She saved us millions and the headaches associated with the appeals process. Her vast compliance and systems expertise combined with her unique ability to work collaboratively with our staff, auditors, and the state agencies was positive and remarkable."